Nope, that’s not me at the ice-capades kiddies. 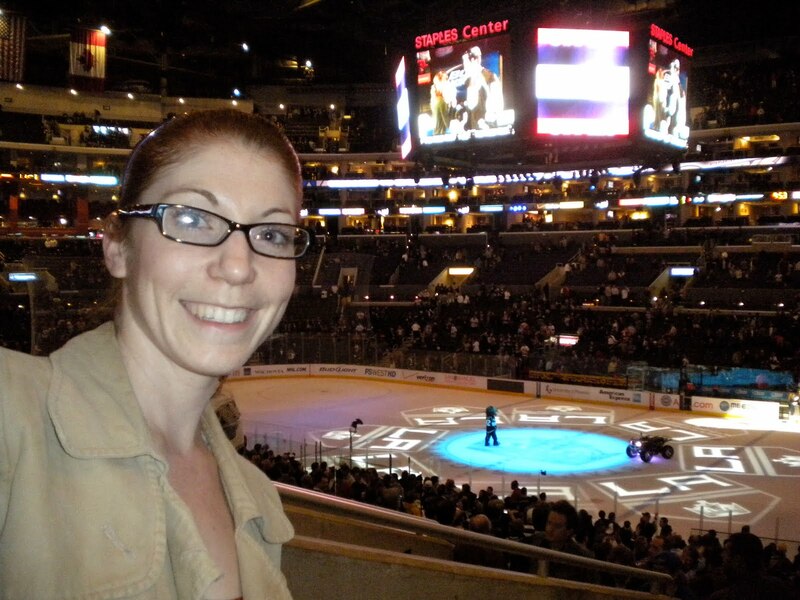 That’s me at a real live LA Kings hockey game! The boy and I were given killer VIP tickets for a Christmas present last year from my very generous Aunt Christy and Uncle Wayne. I had never been to a hockey game before, but, oh man, did I have a blast. It’s such a spectacle–almost like going to a circus! The boy and I had so much fun and the Kings beat the NY Rangers 2 to 1, so that was an added bonus. 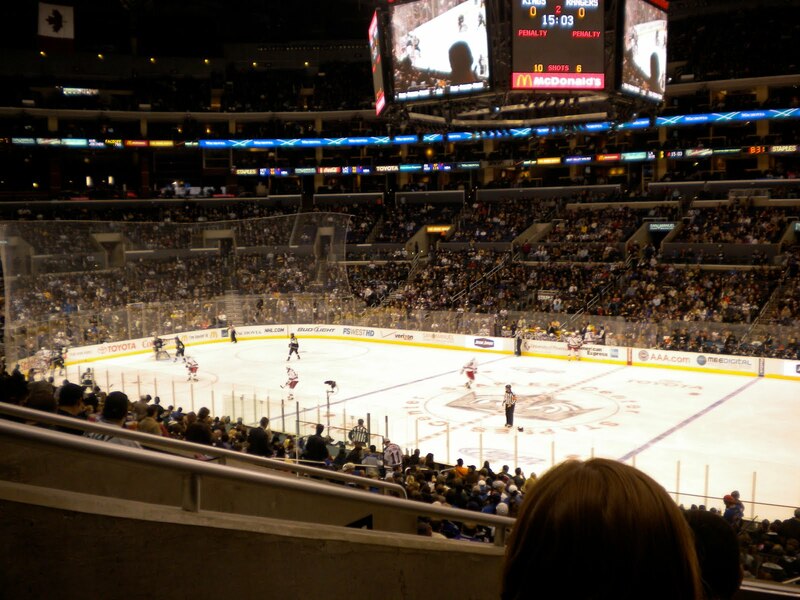 We may have to make hockey a regular thing in our lives…. Check out our Rock Star view!